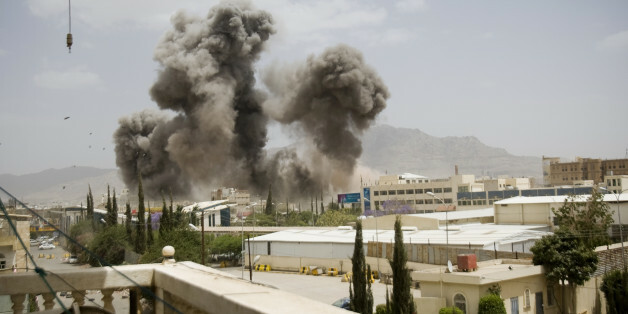 ADEN, April 9 (Reuters) - Houthi fighters, backed by supporters of former Yemeni President Ali Abdullah Saleh entered the provincial capital of the mainly Sunni Shabwa province in eastern Yemen on Thursday, residents said, despite intense Saudi-led air strikes against the group. Residents said local tribal chiefs and security officials facilitated the entry of the Houthi forces to the city of Ataq, where they took control of the offices of the local government and security forces compounds. It was the first time that the Houthis, who hail from the Zaidi branch of Shi'ite Islam, and forces loyal to Saleh had entered the city, where the fiercely Sunni Muslim Awlaki tribe comes from. The takeover brings the Houthis and Saleh's forces closer to the country's most prized economic asset, the Belhaf gas facility and export terminal, on the Arabian Sea about 160 km (100 miles) to the southeast. 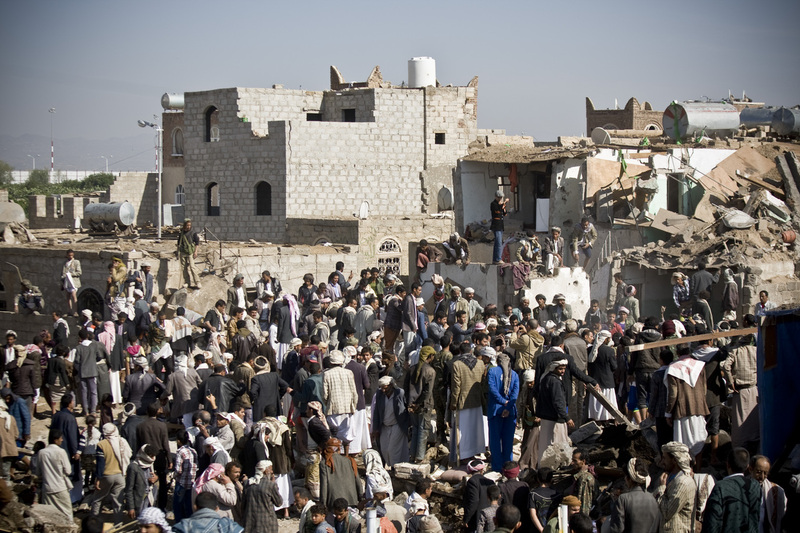 Saudi Arabia, backed by four Gulf Arab states and other regional Arab allies, has mounted two weeks of air strikes against the Iran-allied Houthis after they pushed south towards Aden, the stronghold of Saudi-backed President Abd-Rabbu Mansour Hadi. The air campaign failed to stop the Shi'ite Houthis and soldiers loyal to Saleh entering central Aden. But the coalition says it has cut Houthi supply lines, destroyed weapons depots and pushed them back in some southern provinces around Aden. Earlier in the day, residents of al-Siddah district in central Yemen said they woke to find al Qaeda flags flying over local government offices. They said a group of al Qaeda militants led by a local commander known as Ma'mour al-Hakem, took over the district at night. Residents said the Houthis, who had been in control of the town for more than two months, retreated without a fight. Al Qaeda in the Arabian Peninsula (AQAP), one of the most active branches of the network founded by Osama bin Laden, has exploited the security vacuum to entrench itself further in the country's remote eastern reaches. Last week, AQAP captured the eastern port city of Mukalla. Residents said tribal fighters were deployed to push AQAP out, but that parts of the city were still under AQAP control. The Houthis, who captured Sanaa in September, have said their advance beyond the Yemeni capital was aimed at fighting al Qaeda, which has major presence in central and eastern Yemen. Warplanes from the Saudi-led coalition struck military targets and weapons stores near the capital Sanaa under Houthi control, as well as northern areas near the border with Saudi Arabia and in Yemen's south, local officials said on Thursday. Warplanes repeatedly targeted a playground where the Houthis are gathered east of al-Mansoura district of Aden, the officials added. Saudi-led forces also dropped military supplies to tribal fighters allied to Hadi in Radfan area, south of the city of Dhalea near Aden, local officials said. Overnight strikes also hit an army unit loyal to Saleh in Dhalea and in the southern provinces of Shabwa and Taiz, the officials said. They also reported heavy bombardment to the north on the Yemeni-Saudi border.